The Nigeria Professional Football League ended with not too many surprises. Enyimba failed to get a point against Tornadoes, Lobi shared the spoils with Katsina United and then in Uyo, Kennedy Boboye saw his unbeaten run halted by a desperate Akwa United. The game between Akwa United and Plateau United was a delight. It was a match characterized with free flowing football and some decent goals to add to it. Abdul Maikaba’s lads altered the score line as early as the sixth minute with the goal coming from Christian Pyagbara, who got an assist from Moses Ebiye and ran over John Ga’adi to coolly put the ball at the back of the net. Five minutes after the break the lead was doubled. 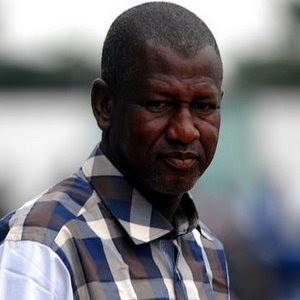 Ibrahim Alhassan gave the Uyo based side an assurance of quitting the last spot on the log. A consolatory goal came for Plateau United in the 60th minute of the encounter as substitute Chima Ndukwu registered one. This victory serves like a cushion effect for Maikaba who have been on the edge of his job if the result went otherwise. 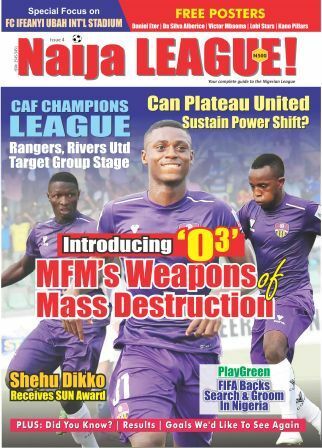 For Plateau United, they still maintain top spot, while Maikaba’s united are up to the 14th position with 9 points. Nasarawa United got one of their best results so far in the season after the pummeled Abia Warriors 3-1. The Solid Miners took the lead in the first minute when Abdulrahman Bashir made good use of a pass from Thomas Zenke. After two minutes, Sunday Adetunji got his 3rd goal in his third match for the Warriors; it did not take time before Douglas Achive put the home side up once again in the 16th minute from a free kick. Jide Williams added to Nasarawa United’s tally in the 55th minute, another assist from Thomas Zenke. In Maiduguri, Samuel Mathias’s brace and Bello Korfamata’s solitary strike was what El-Kanemi needed to see off visiting Gombe United. ABS road trip to Akure was not futile as they gave the home side Sunshine Stars a tough time and eventually reaped a point from a 2-2 draw. Enyimba lost in Lokoja against Niger Tornadoes.13th minute goal by Sadiq Suleiman handed the home side a decent win over former NPFL champions. Lobi Stars failed to beat Katsina United in Makurdi. Experienced goalkeeper, John Lawrence threw away a golden chance; a penalty which he blasted over the bar. The game ended in a barren draw.